I began my reading of presidential biographies with the man who was the first president of the United States, George Washington. I learned a lot from Chernow’s book, including Washington’s miraculous survival as long as he did, politically as well as literally. From the very beginning of Chernow’s book, it feels as though George is condemned to live a very short life by today’s standards, as both his father and grandfather died before they were 50, and a favorite brother who served as father figure did not live to see 40. George would see the passing of all of his siblings, and lost even his step-children far too young. Martha, mother of two, was a widow when she met George, meaning she, too, had been significantly touched by death in a time when life expectation globally was under 40. This, to me, makes the achievement of greatness even more awesome, as it is interwoven with such sorrow. Fifteen years later he encountered an Indian chief who distinctly recalled seeing him at the battle by the Monongahela and told how he had ordered his warriors, without success, to fire directly at him. The chief had concluded that some great spirit would guide him to momentous things in the future. By the age of twenty-six, he had survived smallpox, pleurisy, malaria, and dysentery. He had not only evaded bullets but survived disease with astounding regularity. The winter intermissions led to a number of deaths that rivaled those in battle, as indicated by the grueling encampment at Valley Forge. 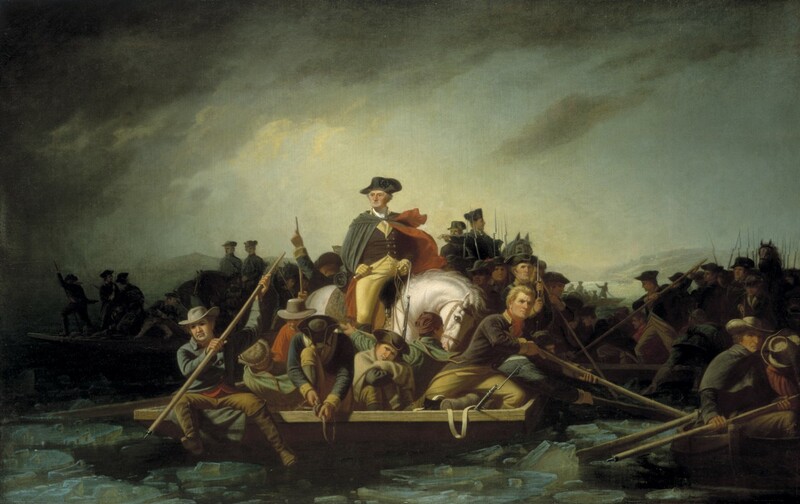 Washington and his officers put down an insurrection among his troops during the bitter cold. He later dodged a British plan to kidnap him. These events were ways, other than bombs, bayonets, or gunfire, that Washington could have succumbed to the Revolutionary War. Yet he survived it all, which led to a reverence of him by the colonial people. He became America’s first superstar celebrity. This meant that when war ended and he returned to his estate, Mount Vernon, he and Martha had little time to themselves. Thoughts of Mount Vernon gave Washington peace during his time away in the revolution. But more often they gave him stress, as he micro-managed operations there, watching his fortune deteriorate to almost nothing by the time he became president, while also leading the continental army. Upon his return, a parade of visitors, mostly uninvited, streamed in to meet the new country’s hero. Unwilling to turn away a visitor, he let them in and fed, housed, and entertained them, further taxing his already tested income. The absence of peace under his own roof, and the dwindling of his wealth would be enough to put many other people in an early grave. Not George Washington. Though he relinquished the reins as general after the war ended, he was again called upon to lead his country, first as president of the Constitutional Convention in Philadelphia, and then as president of the new nation. It is America’s highest office, one that few have thick enough blood to hold. It even tested Washington’s. At the same time, a rift developed within his own cabinet, and two separate parties began to take shape. He may had been elected president by unanimous vote, but decisions being made during his administration were far from agreeable to all. Despite increasing attacks in the press that included accusations of a desire for monarchy, Washington was convinced not only to complete his term, but to serve a second, because the country still needed that stability. Shortly into his second term, however, he regretted staying, as the attacks reached despicable new lows. Eventually Washington’s closest staff members would all resign: Secretary of State Thomas Jefferson, Secretary of Treasury Alexander Hamilton, and Secretary of War Henry Knox, while his attorney general died in office, and he was forced to replace them at a time when few wanted a place in an increasingly mistrusted government. Yet he again conquered the challenges he faced, and left office by his own choice after the second term, setting a precedent for all future presidents until FDR. He had again miraculously survived adversity, this time politically. Finally retiring for good to Mount Vernon, Washington had only a few years to enjoy it. In the end, it was likely doctors that finally killed him, as he came down with a terrible throat infection that was treated with the crude medical practices of the time. Things had proceeded much as Washington had wished: instead of seeming to clutch at power, he had let it descend slowly upon his shoulders, as if deposited there by the gentle hand of fate. For his death, he had prepared a small crypt for himself and Martha, that called out for no attention at all, and it was found to be in deplorable condition many years later. 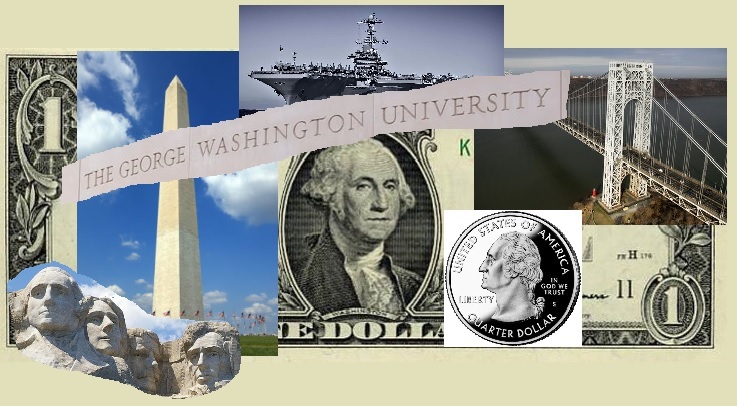 But today they rest under a new memorial, and tributes to George Washington can be seen everywhere. The country that owes its existence in more ways than one to George Washington now honors him in a way that makes the vast parade of visitors to Mount Vernon look ridiculously small. Today, the shield of Providence continues to protect Washington; he lives even now, and likely forever. He never had wooden teeth. His teeth were always ivory or bone, often human teeth purchased from slaves. But they may have become stained to resemble wood. Like many of America’s founding fathers, he was not a proud supporter of slavery, despite owning hundreds himself. It was a circumstance handed down to him, and he saw no easy way to doff its cloak. He yearned to free his own slaves, but ultimately could only free those he owned outright, not those endowed to his estate, and did not free them, by will, until after Martha’s death. He envisioned a slow and steady end to slavery through legislative ways. His failure to use the presidency as a bully pulplit to air his opposition to slavery remains a blemish on his record. He continued to fall back on the self-serving fantasy that slavery would fade away in future years. He probably would not have imagined it would take nearly another century. Those that wanted no part of slavery did nothing to end it so soon after the American Revolution, knowing it would quickly lead to civil war that would have torn the newborn nation apart. Whatever his misgivings about Genet, Washington did not care to send him to his death and granted him asylum in the United States.